Dorcia is a free creative abstract resume template, with a light blue background and geometric shapes. 1-column structure layout. Traditional chronological resume format featuring a light blue frame: your job experience, education, and skills are all listed in descending order with the most recent items appearing at the top of the resume (below the name, job title, and contact information). 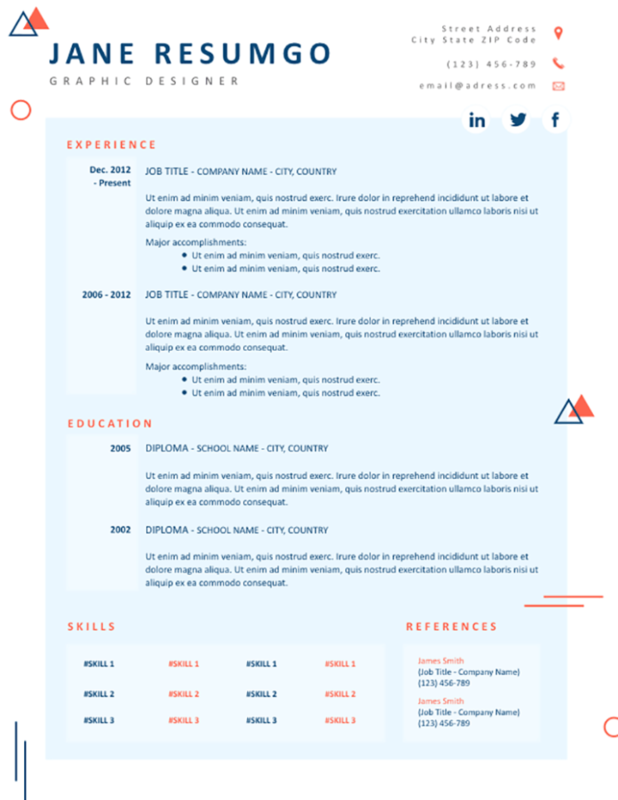 Triangles, circles, and double lines are displayed around the resume to give this resume a modern and unique look.